In April 2012, I cashed a big check from a family member for the first time. No, not a big birthday check from grandma, my fledgling startup’s first funding. For many entrepreneurs, building, growing, and scaling their business takes money. Some businesses can be successfully bootstrapped, and other can’t as easily. Building the app, acquiring the first customers, paying for the R&D or the first molds, all of these things take time and capital. When a founder decides they need cash, there are a lot of options for where to go get it. There is so much to talk about funding and different types of funding. Since most founders funded by outside sources of equity funding are funded by friends & family than other types, we’ll start there. You may have heard of the FFF round, or FFF funding. It’s slang for the “Friends, Family and Fools” round. Personally, I don’t like the “fools” part of that saying, but there you have it. Many founders find their first investment from friends and family members. These family members put up the cash to get the business started, usually in exchange for some portion of equity, or ownership in the company. Regardless of whether they are accredited investors, institutions, or individuals, almost all people invest for the same reasons: for a return on their investment. Everyone knows that you can use your money to make more money. A common ways to do this are through the stock market or getting interest at the bank. There is a known or expected return they receive for temporarily placing their money in that vehicle. Most investors invest in many different types of vehicles to spread out their risk. One high risk, but usually high reward place to “put” their money is inequity in young, growth companies. With the equity they take, they intend to receive a return for their investment that is higher than their other options. This is true whether it’s your second cousin, or the head of an national VC firm. You invest so that you get a return. So the FFF round is an option for founders seeking early stage capital. They hope / plan to grow their company successfully using the infusion of cash, so their investors can make a return in the future. For the much needed money, we promise future success. When a company is just starting out, it often does not have a lot to show in the way of success. Either there is no product yet and the business is just a well fleshed out concept, or minimal traction has been made but not much proof of future success. At this stage investing in the company is very risky. There may or may not be the gangbusters success the founder hopes for, so larger and more institutionalized investor do not usually invest in companies at this stage. Friends and family are usually investing a smaller amount (so smaller risk of loss) and they are often excited about getting in on the good idea at the ground level. A pro of the FFF round is that it is often one of the only choices an entrepreneur has early on, and it is very lucky that these individuals are around, interested, and investing. When seeking funding from your sister-in-law, you have the advantage of knowing her. People invest in people. A big part of the decision making criteria for any investor (Angel, VC, or FFF) is “Do I trust this person?” “Do I believe they are capable of growing this company?” “Do I believe they will effectively use my investment to achieve success?” Your friends and family members already know you, and likely think of you as a smart, hardworking and capable person. You usually have one less thing to convince them of when discussing a potential investment. When you get equity funding, generally speaking you aren’t “on the hook” for re-paying the cash. If you don’t reach the targets or levels of success that you’d anticipated, your investors are in with you on that boat, and can’t pull the rug out from under you. (Note: there are MANY ways to structure funding deals, some of the stipulations and vehicles that investors use may or may not restrict those “freedoms.”) This can feel less risky to founders who may fear the permanence of taking out debt to finance an operation. Friends and family can be more involved and supportive than other investors. They likely care about you and your success. They will be cheering for your success because they love you, in addition to cheering for the return on their investment. Essentially, friends and family are usually in it for more than the money. They can be a confident, mentor, support figure, and cheerleader. More than other investor types, they will tell all of their friends about you, try to help you sell your product and connect you with people they know. This is a great value to a young company. Friends and family investors come in all different shapes and sizes. Some are experienced at investing in startups, and may have run a company of their own in the past. This is a good FFF investor. On the other hand, others are not as saavy. Some are stock market players that are branching out, some are conservative investors motivated to help you out because they love you more than by the financials. Some have a lot of money to invest in vehicles with varying degrees of risk, while others are taking money out of their retirement accounts to support you. Carefully take into consideration the motivations of your FFF investors, as well as their financial position. It can be dangerous to take half of your Nana’s money to kick off your company. No matter how confident you feel with your ability to succeed. What if you don’t? Are you going to harm your investor? That is a lot of stress to put on an already stressful time. You want to protect your relationship and your sanity. That leads to con number 2: the challenges you can face when mixing family with business. Families and friends often deal with years of interpersonal relationship and communication challenges. It’s human nature, and it’s part of being in a community. These challenges can spill over into the investor-founder relationship. Bad blood, poorly aligned expectations, and miscommunication can sour an otherwise good deal. Make sure you know your friend or family member well. Make sure that you lay out the expectations of the relationship and the deal very clearly. And most of all, make sure that you do not take FFF investment from anyone who you don’t trust. A large sum of money is great, but if your best friend from high school is a cheat, then it’s going to be more hassle than it’s worth. There is a reason thus far I have referred to the FFF member who gives you funding as your uncle, sister in law, and best friend, and not your significant other. A dangerous con of taking FFF funding from close family members is the higher risk for the family unit. Investment from your significant other or parents is more risky than people who are further removed. By all buying into the same investment (you with your money and time, and them with their money) your family unit is in a less diversified and riskier position in the case you do not succeed. Not only do you get a built in support network with friends and family investment, you also get a built in panel of critics. Because friends and family know you so well, they often feel like they have full license to criticize your business decisions. On top of that they are investors and part owners, so if the expectations have not been clear, they may feel it is their place–even their job–to help you run the business better and be a better steward of their money. This can be especially hard for the founder when these investors are less business savvy. It leaves the business owner in a tight spot, do you listen to them in order to appease them and make them happy? Or do you make the right decisions as you see them for your business. It can be very tricky. As you can see while there are many beneficial things about getting investment from friends and family, it can also be a minefield to cross as you grow your business. In order to get the most out of your FFF round, make sure that you are fully prepared, set the right expectations, and interview your investors as much as they interview you. When you start talking to friends and family about your business, it may seem easier to just grab dinner and chat about it. But in order to set the right expectations about what the business is, why you feel the opportunity is there, and your plans to succeed, a solid and well thought out pitch deck can help. This is especially true of your friends and family are high net worth individuals or accredited investors. You need to be as professional and polished as you can be; it ensures that you get true buy-in from your investors. An added benefit of being prepared as you reach out to your close network: you are prepared if they refer you outside of your network. It’s often the case that investors know other investors, and are willing to share deals or connect founders to other potentially interested parties. If your great aunt chooses not to invest, but wants to introduce you to a big angel investor, you should be prepared. Have the tough conversations with you potential investors about what you do and don’t expect from them. Do you want their opinion? When? On what issues? Do you want their help? Do you want them to stay out of your way? Make it very clear what will and won’t be tolerated. And then, after you have the conversation, make sure you put all of those agreements and stipulations in writing. Over the course of a business’ life it usually only has a finite number of investors. It’s important to make sure that this group best supports you and your companies goals. Future investors will consider the group of investors to which they are joining. Investors can and often do bring more to the table than just money. Investors who bring these things to the table can be far more valuable and influential in your startup’s success than ones who don’t. The friends and family round can be a very important first step in many founders’ journey. Be careful to take this step wisely and prepare yourself for a successful and valuable relationship with your investor. And, don’t forget your funding collateral!  Check out our resources on pitching and pitch deck design for help.